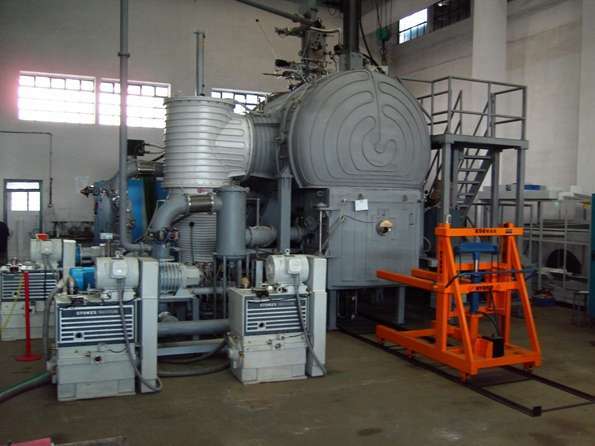 Vacuum induction melting furnace is a complete set of vacuum smelting equipments. Under the condition of vacuum, it uses the medium frequency induction heating to melt metal. It is widely used in scientific research and production departments, that is, the research and production of nickel base and its special steel, precision alloy, NdFeB, metal dysprosium, active metal, high temperature alloys, hydrogen storage materials, magnetic materials, non-ferrous metals and their alloys. The main types of Vacuum induction melting furnace including Cycle vacuum induction melting furnace and Continuous vacuum induction melting furnace. • High reliability and high productivity.